Matthew Clark is a software developer turned architect. He lives in Manchester in the north of England, and he’s soon to be the proud owner of a new kitchen. He’s also the creator of Dee – the DeepLens Educating Entertainer, which won second place in the AWS DeepLens Challenge. 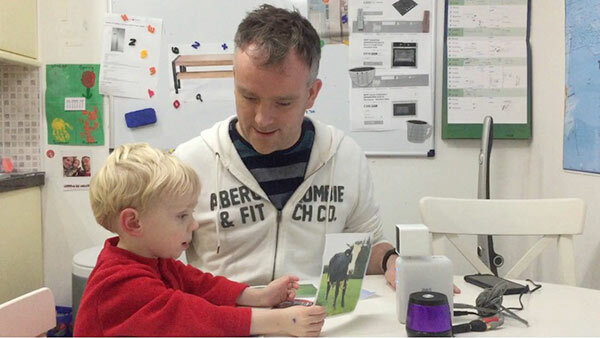 Dee is an example of how image recognition can be used to make a fun, interactive, and educational game for young or less able children. The DeepLens device asks children to answer questions by showing the device a picture of the answer. 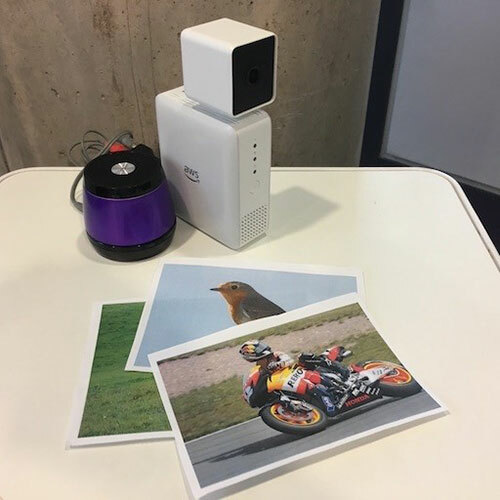 For example when the DeepLens device asks, “What has wheels?” the child is expected to show it an appropriate picture, say of a bicycle or a bus. Right answers are praised and wrong ones are given some hints on how to get it right. The premise of the game is to help children learn through interaction and receive positive reinforcement. Matthew had no machine learning experience prior to getting a DeepLens device at AWS re:Invent 2017. However, he soon got up to speed with deep learning (DL) concepts by building Dee using a combination of technologies that were all new to him including; AWS DeepLens, Python, Amazon Polly, AWS Greengrass, and AWS Lambda. We interviewed Alex about his experience with AWS DeepLens and asked him to do a deep dive into how he created his winning entry. However, by using the existing object detection dataset, this gave Matthew the time to focus on the Lambda functions. A Lambda function, running on the DeepLens device using AWS Greengrass, handles the interaction. It picks a question at random, speaks it, and then analyses the model response to see how the user answered. Matthew loaded this with messages such as “Let’s do more!” and “Good choice!” to help the participant feel positive and engaged about the experience. Dee is designed to not require Wi-Fi access, as mentioned earlier in this blog. This is to ensure there are no internet connection, privacy, or cost concerns for kids. This was tricky when it came to speech, and using Amazon Polly, which typically requires connectivity to the cloud. To overcome this, Matthew wrote a script to capture all required phrases and store them locally. Which means the AWS Lambda function he created includes 69 MP3 files. You can access the full details of how Matthew built this project and the links to the GitHub repo and other useful resources on the Dee Project page on the DeepLens Community Projects website. Similar to the journey Alex Shultz has taken with his experience building ReadToMe, which we published last week, Matthew has been on a journey with AWS DeepLens, building new skills though hands-on experience with machine learning, literally. 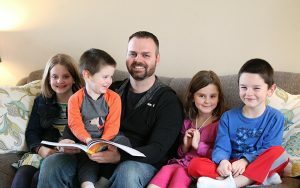 He has gone from having no machine learning experience to building a project that his son and other children can now benefit from. Congratulations to Matthew and the Clark family on this well-deserved win! Hopefully, Matthew’s story has inspired you to want to learn more about AWS DeepLens. You can view all of the projects from the AWS DeepLens Challenge on the DeepLens Community Projects webpage. For more general information, take a look at the AWS DeepLens Website or browse AWS DeepLens posts on the AWS Machine Learning blog. The AWS DeepLens Challenge was a virtual hackathon brought to you by AWS and Intel to encourage developers to get creative with their AWS DeepLens. To learn more about the contest, check out the DeepLens Challenge website. Entries are now closed. Sally Revell is a Principal Product Marketing Manager for AWS DeepLens. She loves to work on innovative products that have the potential to impact people’s lives in a positive way. In her spare time, she loves to do yoga, horseback riding and being outdoors in the beauty of the Pacific Northwest.